You’ve been invited in for an interview – congratulations! Take a moment to pat yourself on the back, but don’t celebrate for too long; you have an interview to prepare for, after all. And, if you are nervous and stressed about answering those difficult interview questions, you are not alone. Even the most experienced professionals could use interview tips/interview advice as the job market changes. 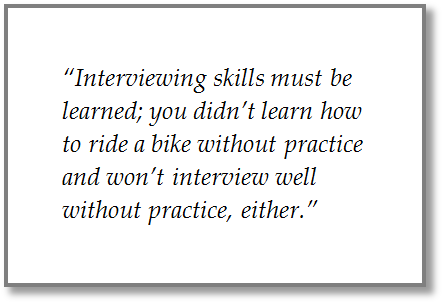 It’s important to remember that interviewing skills must be learned; you didn’t learn how to ride a bike without practice and won’t interview well without practice, either. 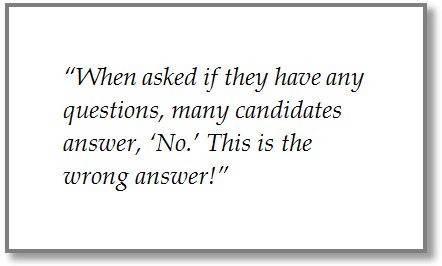 In fact, the only hard interview question is the one for which you did not prepare. Here is a list of 10 of the most common job interview questions you can expect and how to best answer them. With some solid preparation on your part, these interviewing questions will become easier and easier to respond to. This is often the first question you will be asked and it sets the tone for the entire interview, so be prepared with a brief response that summarizes your education, achievements, skills, and professional goals. Then, briefly describe your qualifications for the job and the contributions you could make to the organization. Think of this question as your own personal elevator pitch. Variations on this question include, “Why did you leave you last job?” or “Why is there a gap in your employment?” This question is also typically asked on employment applications, so it’s wise to have good and consistent responses. Employers are looking to find out if you have had any problems in your jobs. Gaps and job changes are okay; the key is being open and honest about them and focusing on the future and your career goals. Do you want to leave because there’s no opportunity for growth? Explain that you learned a lot in your current company; however, opportunities are limited where you are (be able to explain why), and it’s time to explore other options. Were you laid off? It happens and most interviewers won’t hold it against you. Made a poor choice and decided to leave? Be able to explain why was it a poor choice, what you learned, and how will you ensure you don’t make a similar mistake again. Were you fired? The best tactic is to explain that it was not a good fit for you or your previous employer, along with the reasons why. Be honest and brief in your responses and never degrade your current or prior employers. Present yourself as an enthusiastic employee who can offer top-notch skills and experience to the organization. Were you out of work to care for an ailing parent? Did you stay home to raise your children? With gaps in employment, it’s ideal to demonstrate how you continued to enhance your skills while you were not working. Consider focusing on your volunteer experiences or educational pursuits during that period to show how you have stayed current. This question is asked because it can help employers gauge a candidate’s level of emotional intelligence as well their ability to apply learnings in the future. We all make mistakes and have failures. Your interviewer is not as concerned with the specific failure as much as understanding how you dealt with the failure, what you learned, how you grew, and what you would do differently in the future. 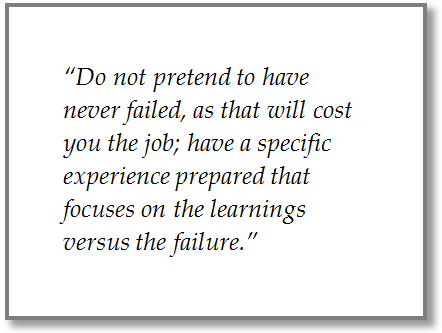 Do not pretend to have never failed, as that will cost you the job; have a specific experience prepared that focuses on the learnings versus the failure. This question, along with the following one, is asked by interviewers to understand how your abilities align with the requirements of the job. This is your opportunity to shine and, ideally, you can communicate strengths that intersect with the company’s specific needs. In responding, provide specific examples of how you demonstrated these strengths in past positions. A variation on this question is, “What is your greatest area for development?” Again, alignment is key and your interviewer wants to ensure that your biggest weakness isn’t the most crucial skill needed for position. Furthermore, your interviewer is also assessing your self-awareness, emotional intelligence, and honesty. Share a real weakness that you are working to improve and how you are overcoming it. “I used to be somewhat disorganized, but eventually this got me into trouble when I missed an important meeting. It was clear that I had to learn how to be more organized, so I asked a meticulous co-worker to teach me how to improve my time management and scheduling skills. I still use the system today." This is another opportunity for you to demonstrate your maturity and professionalism. Your interviewer is not looking to hire a “yes” person, and disagreements and conflict are healthy and result in better decisions. The key is the way you disagree – is it in a professional and productive way? Share your story, the result, and the impact on your relationship with your supervisor. A variation on this is “What do you know about our company?” Interviewers want to know that you have done your homework – with all of the information available at one’s fingertips these days, there is absolutely no reason not to be prepared to respond. Salary discussions are not as taboo as they once were, but there is sometimes a tension between the candidate wanting the highest offer possible and the employer wanting to hire as cost effectively as they can. Remember, as you progress in the interview process, your worth goes up. Accordingly, you may want to deflect the question with, “Can you tell me the range budgeted for this position?” or “What would you typically pay someone with my background and experience?" If pressed for a response, provide a range rather than a specific number, based upon the research you have done on sites such as Glassdoor, PayScale, Salary.com, LinkedIn, etc. You also want to communicate to your interviewer that you are flexible, will consider the total compensation package (including benefits), and are willing to negotiate. Your interviewer wants to know what differentiates you from all other candidates. This is your opportunity to summarize all your skills, experience, and best qualities and how they make you uniquely qualified for the job – a.k.a. your sizzle reel! What are the most important goals that the person hired for this job should achieve in their first 3 months? What are the biggest challenges facing the company today? What are the company’s plans for growth? What do you most enjoy about working here? How do you measure success for this position and how will my performance be evaluated? What is the turnover rate at this company? Can you describe the culture here? Imagine one year from now your hire has wildly exceeded your expectations. What did they do that most impressed you? Interviewing is a challenging process for many of us and there is no shortcut when it comes to mastering it. 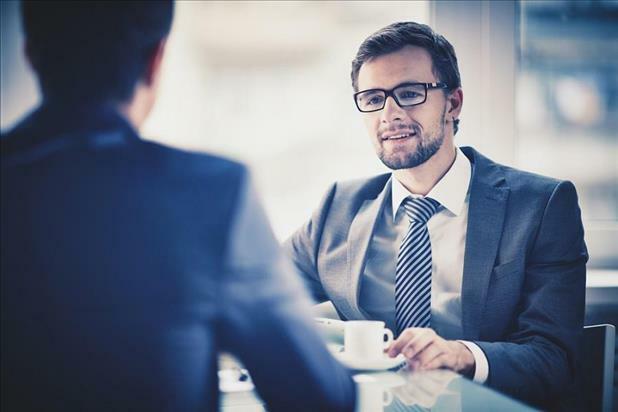 Hard interview questions are inevitable, but understanding why the interviewer is asking them and what they are looking to hear will help you deliver strategic responses. At the end of the day, it all comes down to preparation – if you are prepared, there will be no tough interview questions!